The John S. and James L. Knight Foundation has named Giving Voice and the St. Paul African-American Faith Community ACT on Alzheimer’s Team a winner of the 2017 St. Paul Knight Arts Challenge, which funds projects that enrich and engage St. Paul through the arts. The grant will fund the launch of a chorus for African-Americans with Alzheimer’s and their caregivers in St. Paul. The St. Paul African American ACT Team is building awareness about the disproportionate number of African-Americans in Ramsey County who are impacted by Alzheimer’s disease. Giving Voice inspires and equips organizations to bring together people with Alzheimer’s and their care partners to sing in choruses that foster joy, well-being, purpose and community understanding. 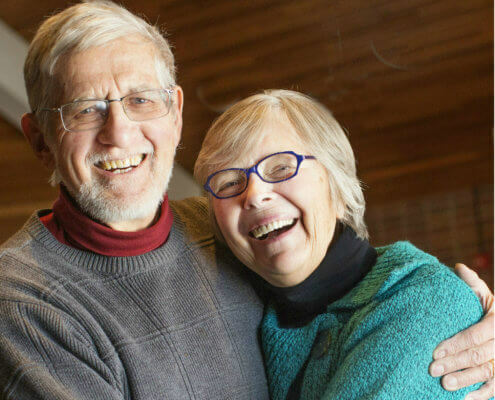 Currently, there are three dementia-friendly choruses in the Twin Cities – two in Minneapolis and one in St. Paul. Giving Voice also has sparked and provided assistance for the start-up of choruses throughout the world, in such places as Mankato, Eau Claire Wisconsin, Australia and British Columbia. The Amazing Grace Chorus, a collaborative of five human services and arts organizations, will bring together St. Paul African-Americans experiencing memory loss due to Alzheimer’s, dementia, and chronic diseases. They, along with their caregivers, will sing under the direction of a professional choral director. The goal of the chorus is to “give voice” to the creative potential of the singers with dementia and reduce the personal isolation and public stigma of Alzheimer’s. Walker West co-founder Carl Walker and Giving Voice will adapt choral music program for an African-American chorus. ACT, Wilder, and HealthPartners will facilitate outreach for singer recruitment and audience development to engage St. Paul African-Americans who could benefit most from this chorus. The Amazing Grace Chorus will rehearse at Walker West Music Academy and offer community performances at Camphor United Methodist Church. Five million Americans live with Alzheimer’s, the sixth leading cause of death in the U.S. African-Americans are twice as likely to develop Alzheimer’s due to higher rates of contributing factors such as high blood pressure, diabetes, stress, and, as University of Wisconsin 2017 research cites, “adverse life conditions beginning in childhood.” Given African-American health disparities and more complex health conditions, Alzheimer’s diagnoses often come in more advanced stages of the disease. The National Alzheimer’s Association estimates 70 percent of people with Alzheimer’s live with caregivers outside memory care facilities. ACT estimates more than 800 St. Paul residents of color, aged 65+, have Alzheimer’s. Of those, nearly 15 percent with Alzheimer’s live alone, often disconnected from community. Amazing Grace Chorus will specifically target these people for participation. More information is available at www.givingvoiceinitiative.org.